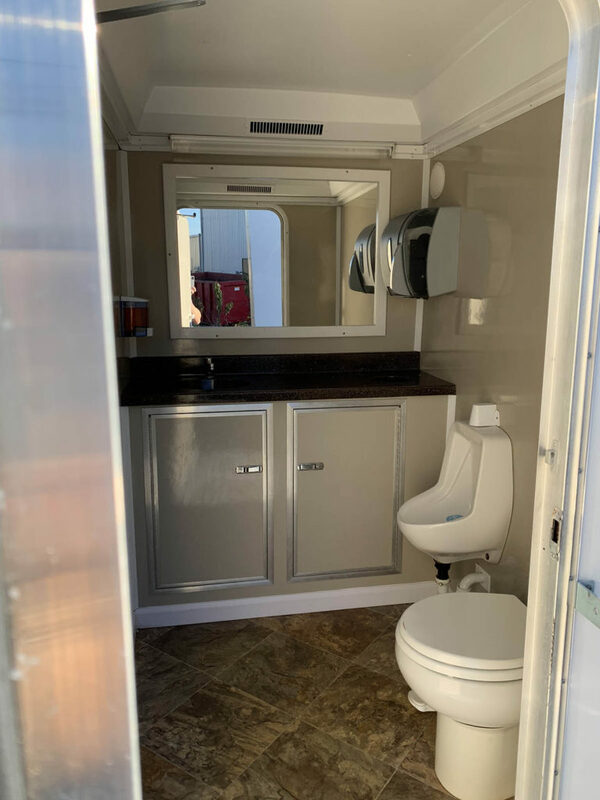 The 16-foot restroom trailer targets larger gatherings with its three restrooms and extra large 430 gallon holding tank. Perfect for weddings, golf outings, corporate functions, and other upscale events. 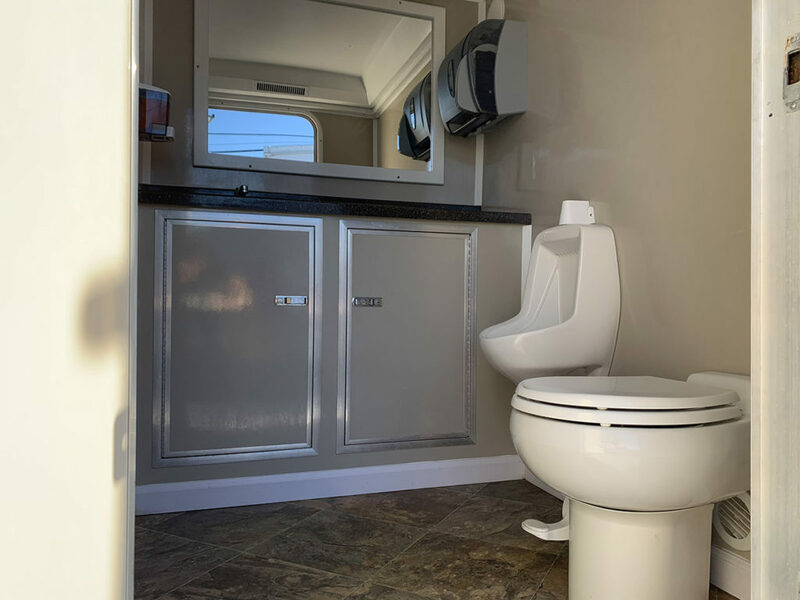 This bathroom trailer is perfect for weddings in Myrtle Beach, SC. 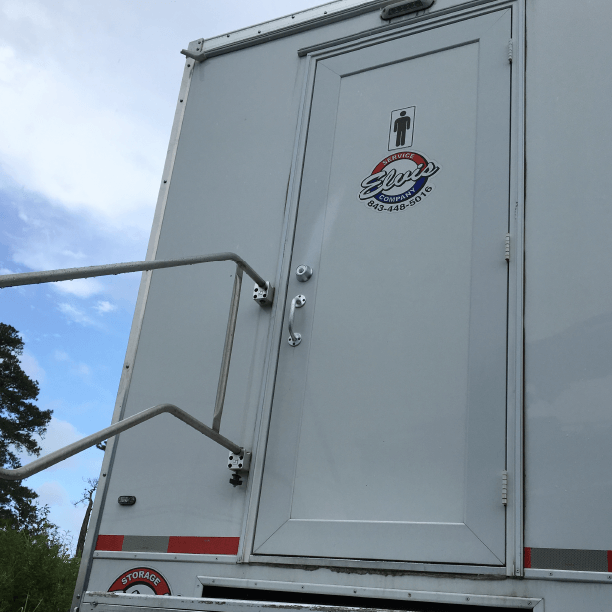 We can deliver this portajohn trailer from Charleston,SC to Wilmington, NC to Florence, SC. 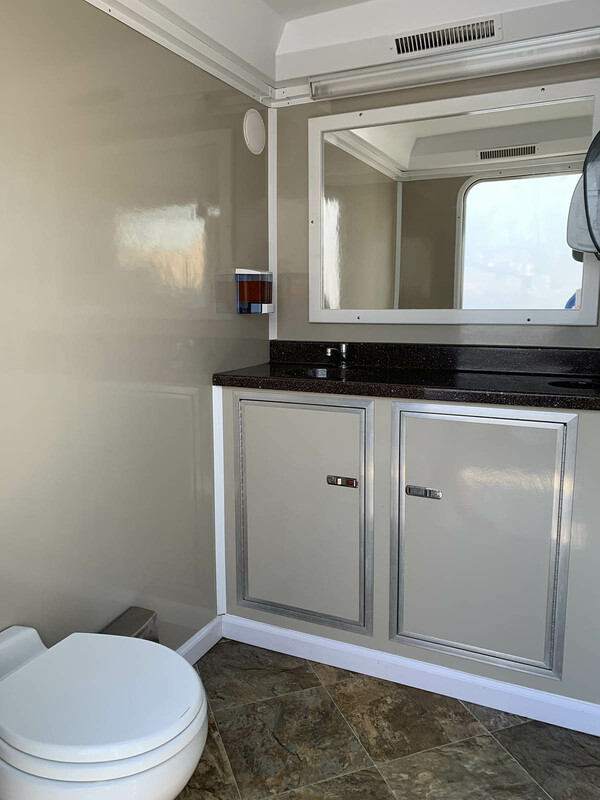 This is the most basic of all our luxurious porta trailers, and the pricing for this restroom trailer is the most affordable available. We can bring this portapotty trailer directly to your concert, wedding, or construction site. If you have a group of people that need a bathroom trailer with air conditioning, hot water, and three luxurious restroom stalls complete with private sinks and vanities, call Elvis today at 843-448-5016. 2 women’s stalls, 1 men’s stalls which has a toilet and urinal. Each stall has it’s own entrance/exit from the exterior of the trailer. Interior Theme and Plant Decor Available. 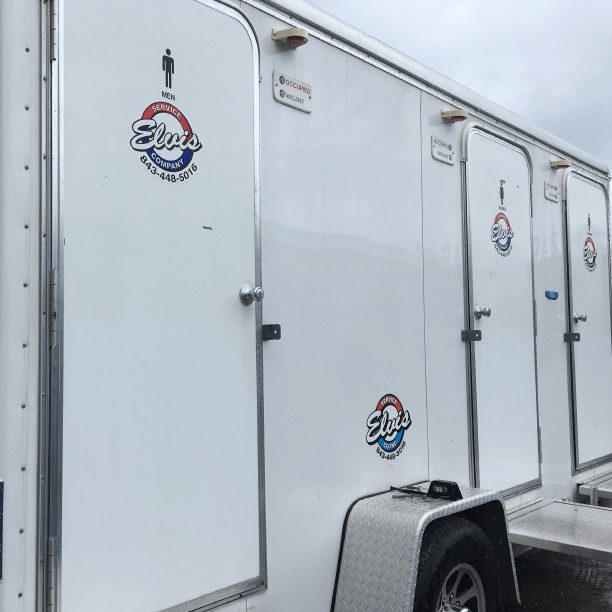 If you see a model of UltraLav Restroom Trailers that you like, just ask us to get it for you! Visit http://www.ultralav.com. 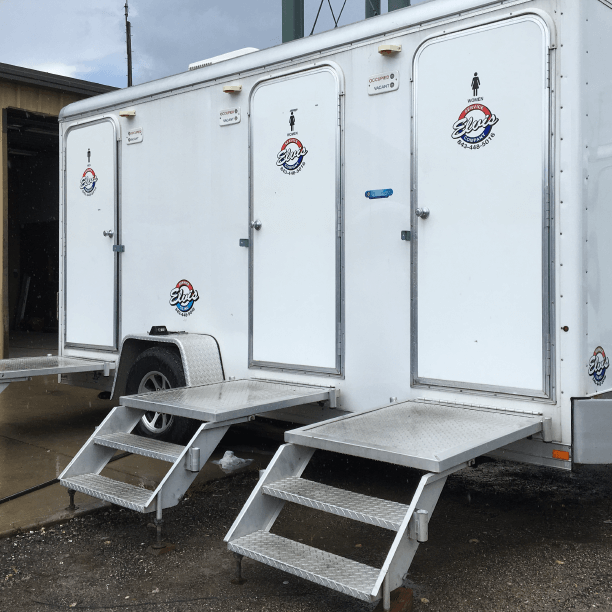 Made by Wells Cargo Trailers, please ask about our Ultralav bathroom trailer prices!